Wonderful news about Ana Beiba in Cali!!!! Those of you who keep up with my blog, and especially those who have taken the delightful Ana Beiba to their hearts, will remember that, 3 years ago, on our first meeting, God miraculously – and instantly – healed her of a huge brain tumour, and was a month ‘into’ her three months’ to live ‘death sentence’. In her home, then, in her care, were 50-60 old people, whom she was more worried about than dying herself. 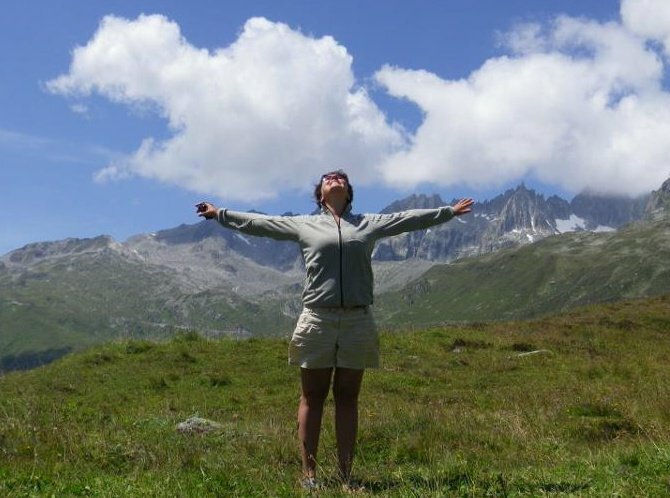 That day, she FELT the tumour leave her, all the pressure gone…. Visiting every time at least once, when I go to Cali, its been marvellous to see her ministry to these abandoned old folk grow. In April, she had 100-110 in her home: BUT, she looked ill, sounded worse, and had lost a great deal of weight. She told me that she’d been diagnosed – again – with cancer: not brain, this time, but throat and oesophagus. Again, with a few month ‘death sentence’ on her… that day, her voice returned, her face changed, and she could swallow… the tumour(s) had gone. The picture here is of Ana, having just been prayed for: those of you who ‘know’ her will see she looks pretty sick…. it’s so good to know she’s back to normal….!! My dear friend Wilmar Gomez has just now written to me, that in the last few days, she’s had a biopsy, and it’s completely negative, and she said that every day, since we prayed for her, she’s felt better…. Thank you, thank you Lord…. 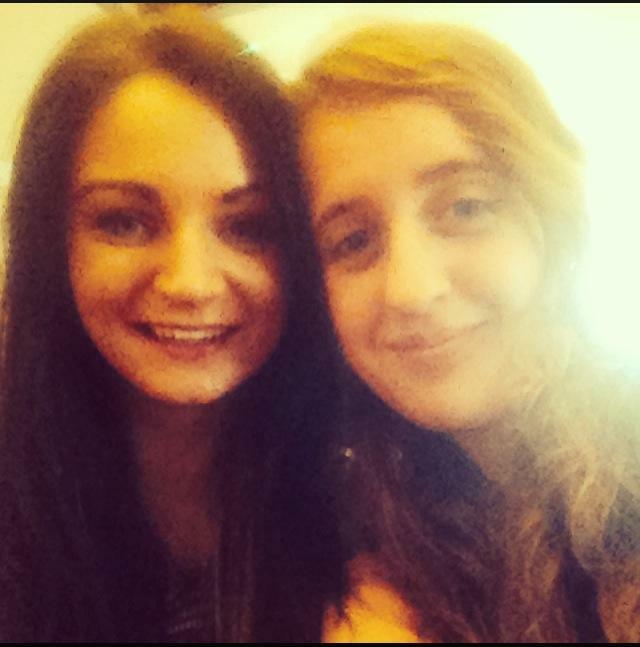 Can’t WAIT to see her next month…. What the enemy means for harm, God means for good…. No, I haven’t disappeared off of the planet! These few weeks are the rest’ time that God insisted, both to me, and via other people, that I ‘build in’ in order to avoid burn-out: rest which is so frequently mentioned in Scripture – ‘Come unto me all you who are heavy laden, and I will GIVE you REST’….. ‘In repentance and REST is your salvation, in quietness and trust is your strength’. This year has been very busy, after a bit of a break in January, non-stop, really. England, Mexico, England, Sweden, Colombia, France: and England and Colombia again coming up fast on the horizon. So these days have been utterly invaluable, and a blessing, and a wonderful chance to relax and recharge my batteries! Good, too, for me, as I passed an ‘anniversary’ on May 26: the 5th anniversary of being ‘returned’, for no reason to do with me, as it turned out, from the United States…. 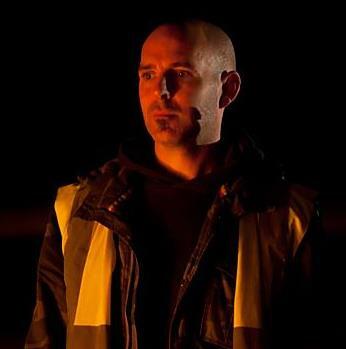 the fifth year since that awful evening in the US Immigration Secondary Screening ‘tank’, when the decisions of others turned my life upside down. But God is as so faithful in keeping his promises, that what the enemy meant as destructive, for harm, God has brought good from it. Good, in that the past five years, I’ve learned a lot about people, people who call you friend, worse still, ‘best friend’ – and come through it still believing in close, close friendships, but entering into friendship with a little more discernment! Good, no, amazing, in that it’s probably been the most astonishing five years of my life in terms of seeing God move, in seeing increasing numbers of salvations, miracles, and healings. Good, as, after a few traumatic and debilitating months immediately after the USA farce, God told me to rest, and I believe encouraged me to find home here in Northern Ireland. And – surprise, surprise, I’ve found rest, and home. I had to allow God to teach me to rest: I’d often considered rest to be the thing you did at night, and a snatched few minutes in an armchair during the day. To most of you, who doubtlessly know this (! ), it’s in ‘repentance and rest is your salvation’ – in my case, freedom from ending up in a situation that turned out to be so bad: in ‘quietness and trust is your strength’. I know I’m stronger, spiritually, even physically (and yes, my knees are doing much better, despite the fact (medically) that’s impossible). I’ve learned to love quietness and solace. ‘Come unto me, all you who labour and are heavy laden, and I will give you rest’. So with the little I had materially – most of it disappeared God only knows where in the USA! – and the unbearable burden of near burn-out, I’ve found rest…. Ain’t God just flippin’ amazin’, eh??? (Even though living with the lovely Irish accents, you can’t take the Cockney out of the boy!!). I think I can safely say that EVERY trip has been astonishing: the last five years has seen an acceleration in every area of ministry, which is breathtaking, humbling, and wonderful. Prayer, please?? Credit Card hacked…. It’s such a pain to have a card ‘compromised’: ebay’s hackers, if you read the article above, accessed a database containing encrypted passwords and other data after obtaining a small number of employee log-in credentials, the firm disclosed. So, beware everyone! It’s a bummer as I was going to buy my ticket to Colombia in the next 24-48 hours: that trip is only 6 weeks away. I’d really appreciate your prayer for the team going with me, too, as I was pretty sure that the enemy wasn’t going to like this trip, and that seems to be the case! The ‘joy’ of planning and administering another trip….! It’s been good to be home for a few days, and now, I’m glad I blocked out a bit of time in my diary where I wouldn’t do any meetings or travel, as it’s amazing how much is involved in putting together a team, and a trip, to Cali – a slightly bigger team than normal, and with no-one, this time, who has been with me there before. One of the guys going, a great young man, Peter McAvoy, HAS been to Cali – 4 years ago, he spent a few months working in the Children’s Foundation run by the church ‘Mision El Abrigo’, started by my great friends Hendrik and Teija Hoere, and now led by Wilmar and Marlene Gomez. Hendrik & Teija now have a much wider apostolic ministry, still based at ‘El Abrigo’, and have just arrived in Bolivia for a few months’ ministry there. I’m taking 6, possibly 7, people to Cali from 4-28 July. Like last time, it’s thrilling for me, as it’s another multi-national team: as someone whose passion IS for the nations, to take the nations to the city I love, is such a blessing. Apart from me, there’s possibly another Englishman, Alex. There’s a lovely ‘history’ behind Alex (possibly…please, Alex??!!) coming: he’s married to the love Karla, whose dad I was at school with, and in the same youth group as! There are three great young people from Northern Ireland, Carly, Grace, and Peter (he might have to be called Pete to save confusion with English Peter!! 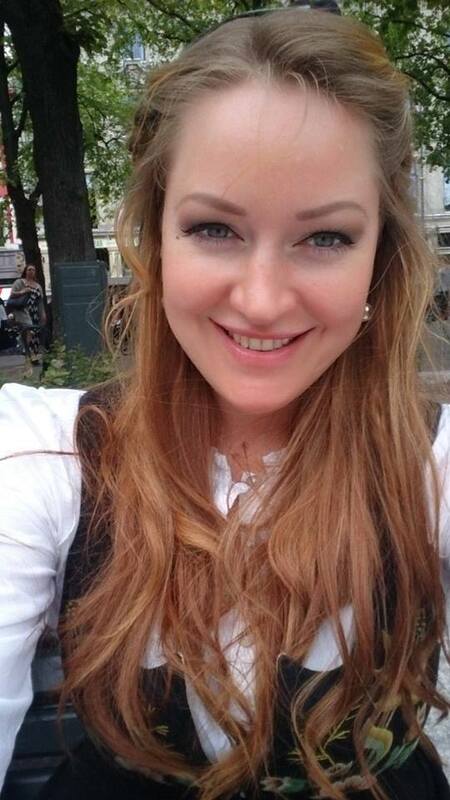 ): a lovely young lady from Rouen, France, Caroline: and yet another lovely young lady, Margrethe, from Oslo, Norway. And me! It’s a particular blessing to people from the church I attend here, when I’m home: and with Margrethe, it’s tremendous, because she was a student at a Youth with a Mission school I spoke at, in Culiacan, Mexico, 11 or 12 years ago. She’s very kindly told me that she remembers a lot of what I said….probably the jokes! They are all ‘quality’ Spirit-filled young people, willing to risk anything to see God move people….we should get on really well! 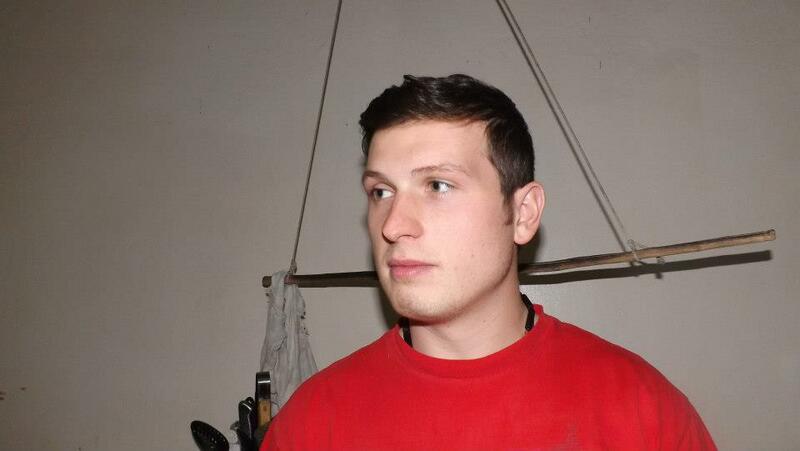 I think you know what I look like, so I haven’t put my photo in here! Anyway, the others are all so good looking, I wouldn’t want to spoil the view…!! Of those going, I’m the only ‘regular’ preacher: but it’s always my desire to ‘drop people in it’ where opportunities are concerned, and my ‘ethos’, if that’s the right word (I was going to say mantra, but it’s a bit non-Christian! ), is that I want the people who go with me to return home with THEIR stories of what God has done, not telling folk back home ‘Paul did this, we saw God do that through Paul’…. I’ve put the wonderful Billy Graham as the featured picture, with his humbling quote: for me, this is the motive of everything I do, and will be the backbone of this mission trip…. Everyone going is pumped up for it: I only hope I’ve got the energy and the ‘knee power'(!) to keep up with some many young people…. only Peter and I are more than 35 years old!! And quite a lot MORE than 35 years old…. It’s amazing how much there is to do in organising even a relatively small team to go to the other side of the world, so I’m grateful for days home to be able to do it. It’s also an opportunity to pray for people locally: yesterday, I went to pray with a lovely couple, whom I was put into contact with via a friend of a friend. It’s a pretty desperate situation, a brain tumour, that the oncologists have said there’s nothing more they can do for her. For me, I’ve so often found that it’s at the end of the doctors that the Holy Spirit turns up, and that’s my prayer for that dear lady. It seems quite a few people want to see me, it’s always nice to feel wanted! It makes a nice break from trying to find flights and juggling dates….! A week on from ‘Louange Côte Ouest, Brem-sur-Mer…. Well, not quite a week yet, as it didn’t finish til quite late on Sunday, and Brian, Jason, & I didn’t set off for home until Tuesday. I got home Wednesday… and, as always, I like to take a few days to ‘mull over’ what happened, what God did, what I did and how I could have done it better…. that last bit takes a long time! Frere Jean Marie de la Croix – love the trainers with the robes! were a joy to be with, and apart from the ‘dress’ style, it’d be hard to tell them apart from the charismatic evangelicals…. The worship was just like as good as any I’ve been in for a long time – Bruno Lafitte and Hélène Goussebayle are also a lovely ‘mix’ – Hélène is Catholic, Bruno charismatic evangelical…. I thought, during the weekend, that a lot of evangelicals are going to have quite a shock in heaven…. And it became evident that it HAD been a powerful weekend, as pressures and problems arrived immediately, as though the enemy thinks he can take away the impact of what God has done. He can’t, of course, and today, Colin and Sue had a wonderful email from a lady Brian and I had the privilege of praying with, as we haven’t asked her permission, I won’t mention her name, but just to say that her life was in a right mess when she turned up for the first meeting we were at, Friday evening. She waited a long time to get prayed for, so her determination was greater than the sum of her problems….. I thank God for putting you in my path . With all the energy that you have given to the organization of this weekend , I picture you need to be tired this week. I say a big thank you for a first weekend worship with you , it was rather very successful . The Lord has really told me that I now had testified wonders they bring into the world. So I prepared a little text to the prayer group ‘Martinet’ which met on Monday . V, my friend who came on Friday at Brem sur Mer, read my message to those present and I can assure you that next year , many people will ‘live’ this weekend . I also testified on Wednesday evening prayer group in Challans . The Lord has given me a great grace to live a weekend ” Praise West Coast ” ( I went Friday, Saturday and Sunday mornings) . HAPPINESS that the Lord has poured all its flow of love , His Holy Spirit on all people present, as HEALINGS . Many people had the charism of healing and offered their gift, always under the protection of Jesus. There was much talk of the lukewarm church while the mind just waiting to spread … this is the problem today churches in western world. There is a lot of dams, but the fire of God ( as Paul Benisson said ) is currently brewed slowly propelled the French churches, French , to live love the world in which we live. > Jean -Marie Cross of the Beatitudes was a Saturday morning teaching on evil . > I carried in my heart and given to God all the sick people around me . > Paul Bénisson priest preacher, who has a great charism of healing , was a Saturday night Teaching FIRE OF GOD ! he explained what the Lord asked him to do: to MIRACLES , I mean miracles completely MAD, INCREDIBLE ! ! > He mainly relied on the fact that you ask for healing with all his heart , and believe that the Lord heals us and do not doubt it. It takes a lot to listen to his speech in the bible, it really speaks to us. > Collin and Sue , the organizers are great people and I met other wonderful people who have been cured … I do not think I’ll see it one day in my life ! > This is the first time a gathering ” Praise West Coast ” brings as much grace. > I am still under the fire of the spirit and I will send you to his words carry you straight to the heart and heal you. > A new collection will be next year at the same place. > I met some wonderful people that I will never forget. That’s the message. A few people I explained healing and messages from Paul Bénisson more detail. People who are ready to enendre will ask me questions and open their hearts . For my part, I spent a wonderful week. My husband is very happy to see me in peace and joy . He does not want to know what I experienced , but my well-being rubbed off on him and F and O, my children. My heart is wide open to the Lord and I finally see the positive in my life. I thirst to distribute this wellness around me and to bring relief to patients. I noted the date of Sunday, June 15 at 15 am to meet. I do not know if I ‘ll be there because normally on Sunday afternoon, I saw a family. A .. the grace of God ! I embrace you very very very strong and you rermercie for your ease , your dedication and all the love that is within you. Just reading the mangled translation of Google, the transformation in her is so obvious, and only God can do that…. and there were, of course, many, many other physical and emotional healings during the course of the weekend. As always, thank you, Jesus, for giving us your precious Holy Spirit, to enable us to be the ‘invisible Jesus’ to millions of people…. just in case you think I’m mad, if Jesus was the image of the invisible God (Col 1), and if he sends us as his father sends him, we must be the image of Jesus. And that image, not us and our expertise, titles, and knowledge, is what changes people’s lives. Amazing weekend in Brem-sur-Mer, France….miracles and healings here too! My apologies for the lack of ‘posts’ here over the weekend, two reasons! Exceptionally busy, and back to our mobile home so tired and so late it just couldn’t happen: and also the internet has been ‘interesting’! It’s been great sharing the mobile with four great guys – Leon Coetzee, Chris Elmer, Jason Enticknap, and Brian Louden: the snoring volume was at times sometimes quite considerable: don’t tell Brian I wrote this, but Jason (in the next room) was able to give a very good rendition of his contribultion! The conference was terrific: great worship led by the lovely, and excellent Hélèn Goussebayle, and Bruno Lafitte. The Presence of God was very powerful in all the meetings, and lives were being changed from the start, in the worship. Brian, Jason, and I arrived early afternoon Friday, which gave me a few hours to prepare for speaking at the Friday evening main meeting. Spoke at a second main meeting last night, a practical workshop on healing yesterday afternoon, and then a question and answer time with the three other main session speakers this afternoon. Stephanie, a lovely mum in (probably) her late 30’s, had so much baggage from the past from a lot of hurt, suffered loss of motor function down her right hand side, a buzzing in her head, humongous anxiety, and because of history, could only ‘live’ in the past, which was having a major effect on her children. To be honest, because of the pain and tension in her face, she looked older than she was…. the transformation Friday night was almost unbelievable: more prayer yesterday, and this morning, and she was a totally ‘new’ woman, with a beautiful smile, eyes alive, and clearly living in the blessing of God living in her, free for the first time in most of her life…. A man with tinnitus – to those who don’t have it, it probably doesn’t sound too much, ‘ringing in the ears’ – but it’s constant, and disturbs every aspect of life, especially sleep. He was healed. Of course, a great deal of arthritis was healed!! A good number of pairs of knees, and a few single knees: for Bill & Jan Gordon, a lot of release of pain. Bill has had had chronic arthritis AND arthrosis for 45 years, Jan for more than 5. Bill also had ankellosing spondylitis. Jan was in much pain in her neck and shoulders. Both received a huge release from SOME of the pain, not all: Jan especially felt that God said to her it was going to go in stages over the next few days. Loads of new friends, especially the lovely Leon Coetzee, and of course, such blessing to build on the freindships forged two years ago. Loads of people healed here in Brem-sur-mer this weekend. Some didn’t need prayer! God’s presence was thick and tangible! Discovered this evening, over a lovely ‘end of conference’ meal, that the Vendee, the ‘department’ of France that Brem-sur-Mer is in, is the ‘birthplace’ – if that’s an appropriate word – of genocide. It began during the revolution: Stalin and Lenin came here to ‘learn the art’ of genocide, and subsequent horrific genocides were rooted here…. so no wonder it has been a tough area to break into with the gospel: it is also known for having historically had some of the most ‘brutal’ priests in history. And yet it is the department where, 1000 years ago, prayer for revival was birthed, in an historic church. 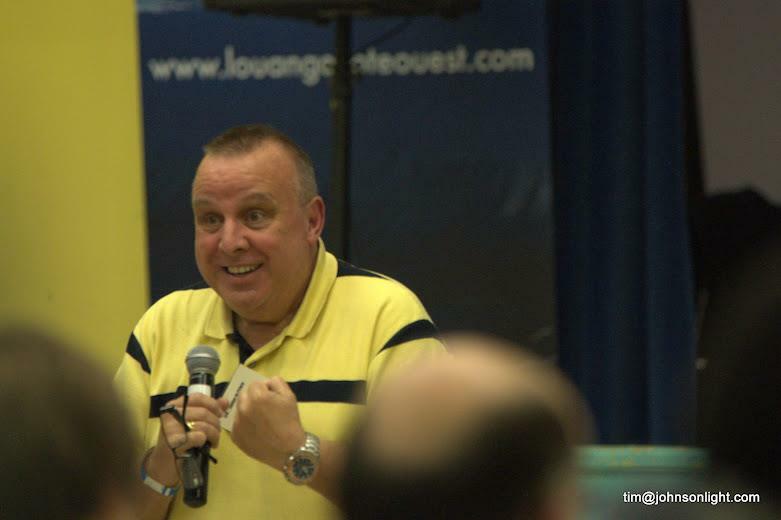 Louange Côte Ouest is really the first genuine Christian ministry to unite believers here, and we’ve shared this weekend with some wonderful charismatic Catholics, especially the delightful Frére Jean-Marie de la Croix, (wonderful name! – Brother Jean-Marie of the Cross), who has, among other wonderful ministries, the French coastal equivalent of prayer-walking: ‘Mer et Priere’ – it works beautiful in French words, not so in English! – sea and prayer. He takes boats the length of the Vendee coast filled with pray-ers changing the past – and the present – of this beautiful region. So, a day here tomorrow, to be with Colin, Sue, and Jason, then the journey home via Le Havre for 5pm Tuesday….A wonderful weekend in the presence of God. Can’t say the weather blessed us terribly well! Cool, bordering on cold, and pretty chilly nights in the mobile home! Colin & Sue are doing a marvellous job here: for many years it’s been quite a lonely road, but their tireless efforts st bringing people together, and gaining credibility in the region, is paying dividends. 2 years ago, the local press rejected doing an article on LCO ‘out of hand’: this year, they phoned and ASKED if they could do one, and sent a photographer to record it…. and the bond between the people coming together is close, delightful, and powerful for the Kingdom…. It’s just past midnight, I really OUGHT to be in bed, as tomorrow morning, I head, once again, for the airport: Heathrow (Terminal 1 especially) seems to have some giant magnet that constantly pulls me back there. At least this time, it’s not for another long-haul flight:instead, a drive to Portsmouth, and the luxury of a cabin on the 9 hour-crossing to Le Havre, and then about a 4-5 hour drive, to the lovely little town of Brem-sur-Mer, on the Vendee coast of western France. 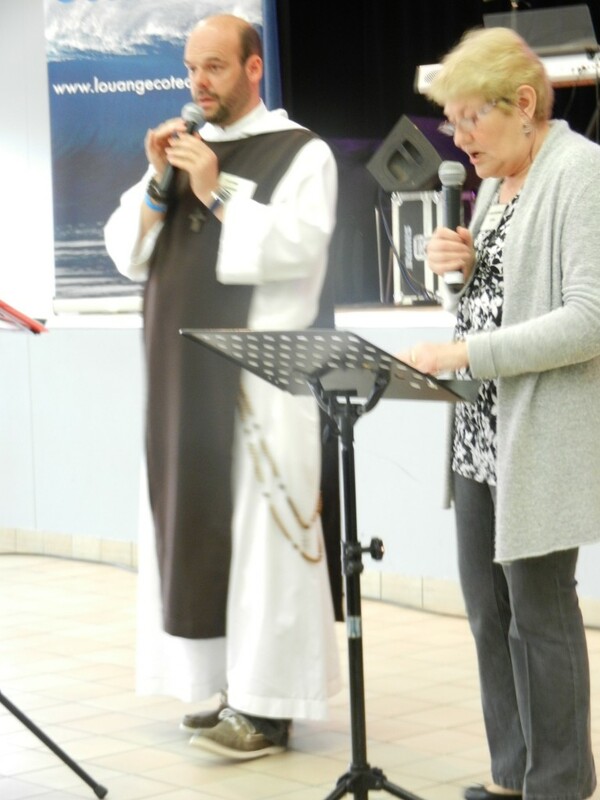 ‘Activating the blessings’ is the theme Colin and Sue Enticknap have given to the conference, the conference itself is ‘Louange Côte Ouest (West Coast Worship), which begins actually in the morning: it seems I’m the duck to be shot at speaking at the main celebration in the evenings(!) on Friday and Saturday, but it’s a great theme, as I’m a great believer that WE have the authority in our own lives, and the power from God, to CHOOSE to activate blessing and gifting in our lives….. 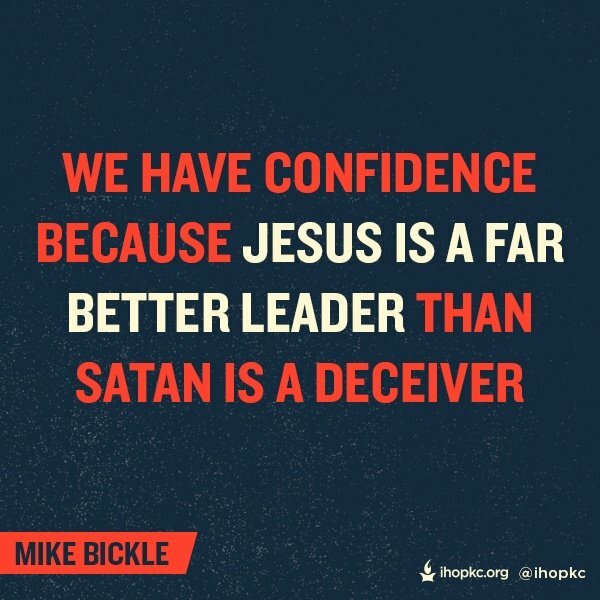 So much of what we do – or, sadly, DON’T do, is because we don’t feel ‘able’, have the confidence to trust that God has given to us ‘ALL the divine power we need for life and godliness’ (2 Peter 1:3), live in fear of what others will think, live in fear of ‘getting it wrong’. My prayer for this weekend (Le Weekend – I love that bit of French! – but not as much as ‘la baguette’ 🙂 ) is that God will so overwhelm all who are at the conference with HIS confidence, remove fear, and pour out his power on that wonderful region of France. The worship at the same conference two years ago, was tremendous – led by Bruno Lafitte and Hélène Goussebayle: it’ll be great to see them, and so many others who were there, too, once again. I’m so glad to have Brian Louden with me: we had a fantastic time in Cali together last November, Brian has a driving passion to pray for the sick, but more importantly, he LOVES people. Colin and Sue’s son, Jason, is also travelling with me, I’ve not met him yet, so it’ll be great to get to know him. We’d really appreciate your prayers as the west coast is tough ground to pioneer, and Colin and Sue have a great ministry there, but encouragement, and a whacking great dose of God’s Holy Spirit wouldn’t go amiss! SPIRIT OF GOD, INVADE THE WEST COAST OF FRANCE THIS WEEKEND, PLEASE!! As usual, I tend not to write too much here in the aftermath of a trip away, as I’m pretty certain you’re not interested in where I went shopping, how much dirty laundry I’ve had to wash…. and other similar exciting things that we all have to do! It’s been a good time of catching up with people, and spending some lovely hours with some of the people who are going on the next Colombia trip with me. It’s particularly good as virtually all of them are young, with a passion to serve God, and a desire to see God heal people through them, and only one has been to Colombia before. Yes, planning the next trip there having only just got back from the last one! In fact, I’ve got people already ‘pencilled in’ for the October/November 2014, trip , and March/April (Easter) trip 2015! I’ve had some good rest, too, and a few visits to a sports (don’t laugh!) physiotherapist: as my knees are improving, it’s bringing to light the fact that muscles that have gone out of alignment to cope with my wonky knees, need to be put right. I’ve had particularly ‘interesting’ pain from something called the iliotibial band (I’d never heard of it, either, until I got to know my great mate, Robert, from Melbourne, Australia, who is an ultra-marathon runner…), which runs from hip to knee, and is – it seems – a runner’s problem! But my ITB was well twisted, and Tony, the physio, who is brutally strong, has been a physio for many years, said he’d never come across anyone who’d got ‘knots’ in the SHEATH of of the ITB, as well as the band itself! And, of course, the knees have thrown my back out of alignment: yes, I’ve had people pray for all those things, and I still will, but the instant ‘relief’ of knots in the muscles running down the length of my spine, has been wonderful! And, I’ve had some time to study, and prepare, for the conference in France this coming weekend. 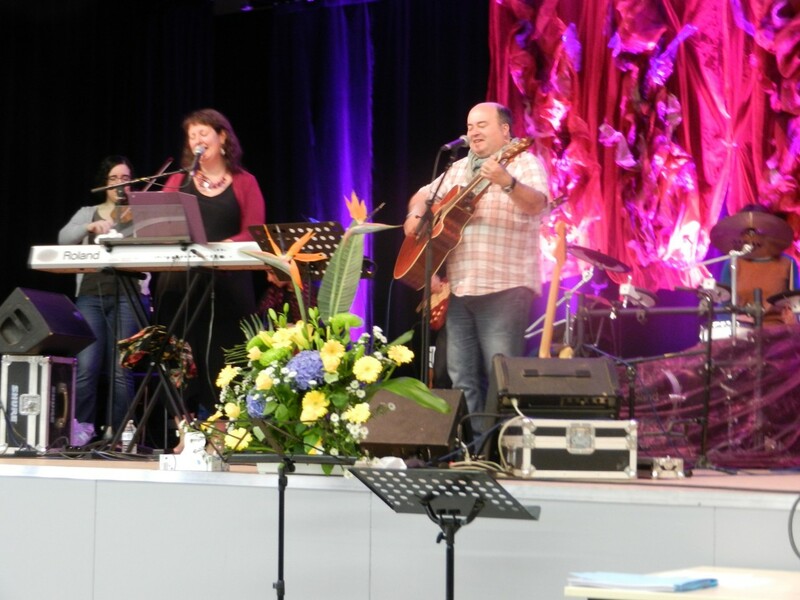 ‘Louange Côte Ouest’ (West Coast Worship) is organised by long-time friends Colin and Sue Enticknap, who have been missionaries in the Vendée region of the west coast, for 8-9 years, and the conference two years ago, was a great time. Please pray for Colin & Sue, as it is a tough region of France to pioneer: yes, of course, it’s beautiful, it’s hot there now, the beaches are wonderful: but they’re there to see God’s Kingdom established, and it is a lonely battle a lot of the time. I’m taking with me my lovely friend Brian Louden, from Maidstone, who is a great ‘prayer for healing’ and ‘prophecy’ man, as well as being a lovely bloke, and I’m anticipating a great weekend of seeing God transform lives, unite Protestants and Catholics where there is a ‘touch-stone’, and bless Colin & Sue. And, of course, it is ‘baguette-land’!! I’m going to have to TRY and be restrained, as since the end of February, I’ve lost 2½ stone in weight (35 pounds for Americans, and 16 kilos for the rest of the world!). I can resist many things, but baguette…? Hmm…. I[m hoping that, with the SIM card Colin got me today, and the wonderful technological miracle that is a wi-fi dongle, I will be able to keep you posted here. And, of course, if you have a free weekend, flyBe fly into Nantes, which isn’t TOO far from Brem-sur-Mer, where the conference is held (probably the more ‘famous’ resort is Les Sables d’Olonne, a few kilometres away), it would be lovely to see you! And so, it’s almost packing time again…. I wonder how many times I’ve packed suitcases/bags, over the last 28 years….? I thought I was only going to ‘travel’ for maybe a year, when God first insisted I went: maybe I ought to have kept my boarding passes since 1987, too! I’d probably need quite a large part of my study for them! – so my prayer is that people impacted by God’s awesome power will take it OUT to where it can TRULY make a difference….